In January 2016, the Federal Government of Nigeria hiked the price of Household Kerosene (HHK) from N50 per litre to N83 per litre, officially ending subsidy on the product. The Petroleum Products Pricing Regulatory Agency, PPPRA, clarified in its product pricing template that only the Nigerian National Petroleum Corporation(NNPC)-owned filling stations would sell at that rate. The implication is that other petrol stations and dealers may sell higher than the stipulated amount. Three months after subsidy on kerosene was removed, Spaces for Change’s field monitoring of kerosene sales and distribution in Lagos indicate a shortage in the supply of the commodity. The monitoring exercise was carried out under the auspices of the organization’s Gender and Energy Policy Research Campaign which proffers policy proposals for designing energy subsidy reforms in ways that improve women’ welfare, productivity, and empowerment. The monitoring exercises present an opportunity to establish causality between energy policy and the differential impacts on gender. Substantial Compliance with New Kerosene Pricing Regime: There is substantial compliance with FG’s new pricing regime. All filling stations surveyed have adjusted their pumps to reflect the new price of N83 per litre and (upwards). Non-availability of Kerosene at the Pump: Out of 10 fuel stations visited (including 1 NNPC station), none had kerosene for sale. Most of them had their kerosene pumps covered with large cellophane bags. The evidence that poor women do not benefit from subsidies on kerosene is well documented. Non-availability of the product in a post-subsidy era further leads to the inference that poor women are not equally benefiting from subsidy removal either, as there is no evidence of improvement in access to kerosene. In one particular station, the station personnel informed S4C that kerosene had been unavailable for a long time, forcing consumers to obtain the product from the black market or kerosene franchise dealers under the auspice of Nigeria Union of Petroleum and Natural Gas Workers (NUPENG). S4C team was advised to visit the Mile 12 Market-Kerosene-Depot, which is one such franchise dealer of kerosene products. Kerosene is predominantly used by low-income women and households. Higher kerosene prices often leave poorer women with no alternative than to embrace traditionally cheaper biomass fuels, with attendant implications on human health. It further prevents women from switching to cleaner fuels like LPG. 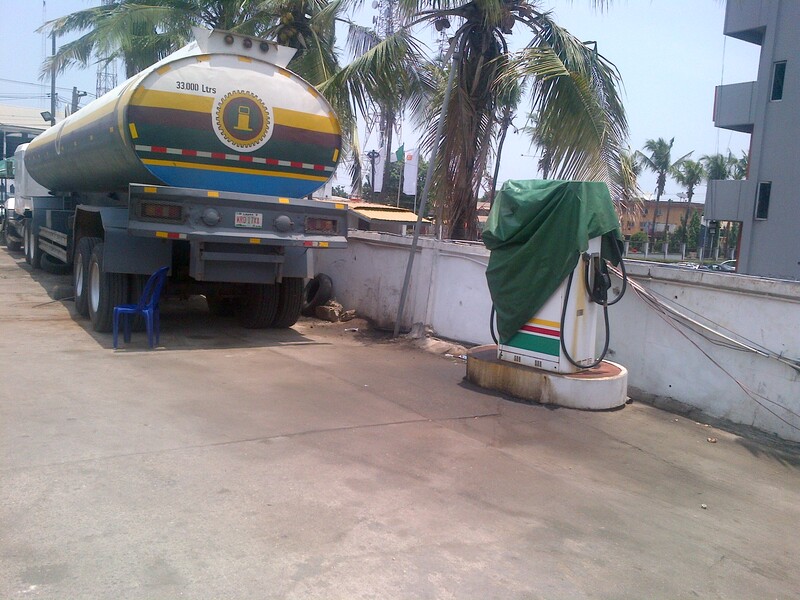 An NNPC Station personnel alleged that the market for kerosene distribution has been hijacked. He hinted that the NNPC outlet had requested and paid for 40,000 litres of kerosene, but had to convert this to PMS to avoid loss of funds. There were also claims that kerosene is only delivered to NNPC outlets at Omole and Ikoyi in Lagos State. S4C observed the absence of kerosene queues; a sign indicative of the protracted length of product unavailability, leaving consumers, especially women, at the mercy of middlemen and black market dealers that often sell at exorbitant prices. S4C observed the presence of fewer women at fuel stations who came to buy premium motor spirit (PMS). This situation contrasts with the trend observed in September 2015, during S4C’s monitoring of kerosene sales at designated pump stations at the rate of N50 per litre. A female respondent told S4C that she is distressed by the prevailing kerosene shortage. Consequently, she has resorted to cheaper cooking fuels – such as charcoal – for her cooking needs. The use of lower quality, traditional fuels increases indoor pollution as well as the time actually spent in cooking, thus compounding this and health and time poverty. 2 filling stations stations visited in Ikeja, do not retail kerosene at all.